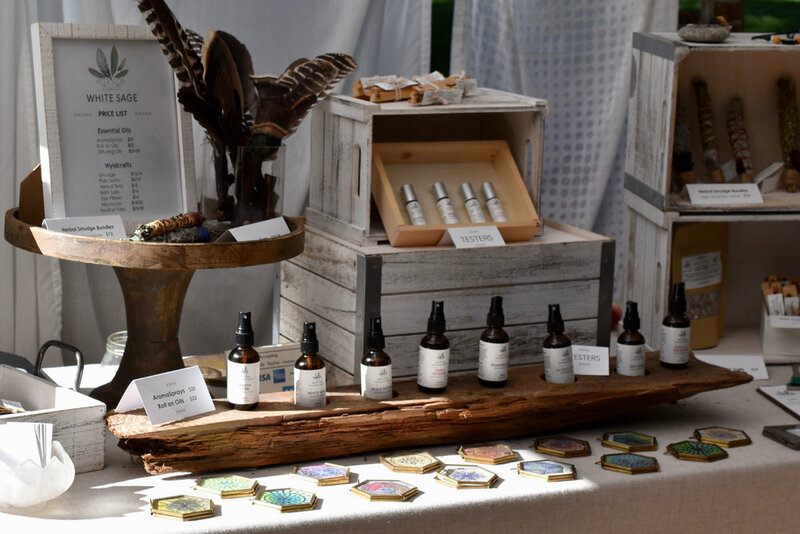 Inspired by the seasons, cycles & elements of nature, White Sage Wellness offers an apothecary of nature-based healing tools. From essential oil blends to magical ritual tools - White Sage products inspire the senses & set the tone for creating sacred space. All products are made with 100% pure all-natural ingredients. No synthetics. No additives. Cruelty free. All materials selected are organic or wild-harvested whenever possible and purchased from reputable companies that focus on ecological consciousness, sustainability, and fair trade. Tracy is the creatrix behind White Sage Wellness where she weaves together her background in aromatherapy, holistic counseling, and nature-based healing practices. She has been nurturing her relationship with plant medicine and working with essential oils for over 10 years. Each creation she considers a ritual tool for body, mind, and spirit. Her deep love of nature, yoga, creativity, and community are her guiding lights in health & happiness. Tracy’s counseling work and individual sessions focus on self-care and empowerment practices where the work is done in the spirit of collaboration and clients take away powerful, personalized healing tools and techniques.